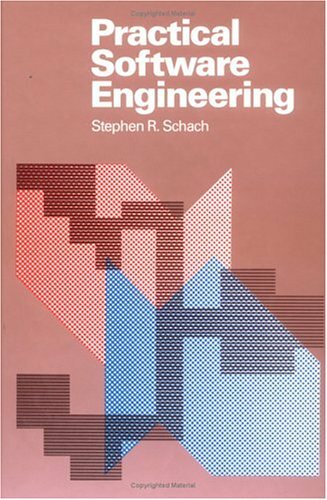 This Schaum's outline does a great job of outlining the vast majority of topics you must study in order to call yourself a software engineer versus a programmer. As other reviewers have pointed out, it is not a comprehensive textbook on the subject but makes a great "big picture" supplement. 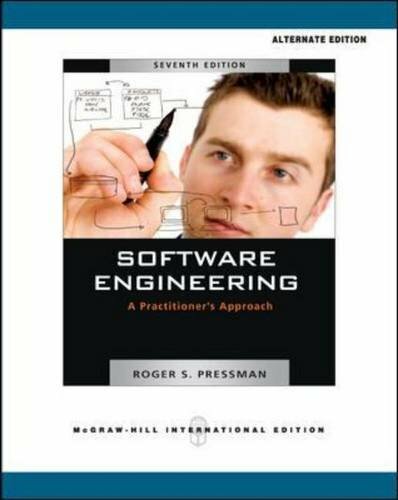 This is particularly valuable to students since college software engineering classes are often poorly structured and taught. 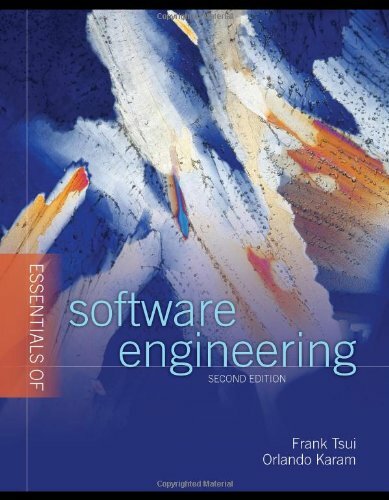 When I took software engineering at Virginia Tech the professor actually believed that learning software engineering involved memorizing every UNIX command and all of its options. Thus guidance in this discipline is at a premium. 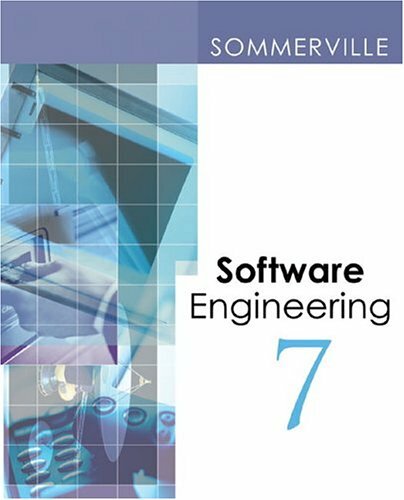 This book's format is to mention all of the major subtopics of software engineering, provide a paragraph or two in description, and then provide some examples as well as exercises for the student. 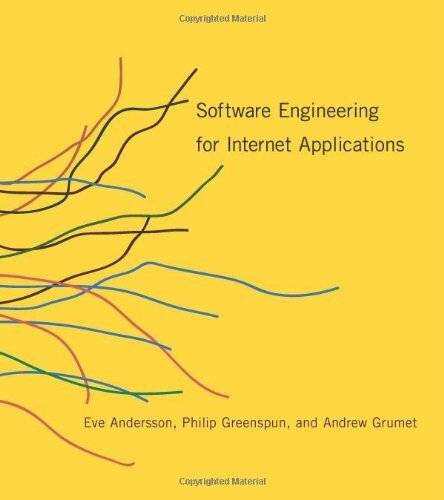 No particular programming language is used since this is not a book about programming, rather it is about the tools and metrics used to organize, manage, measure, and test programming projects. 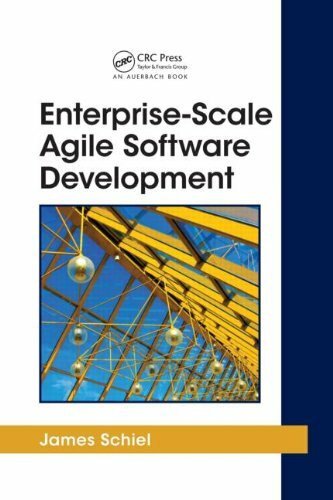 Everything from project management to metrics to object-oriented design techniques is at least mentioned. 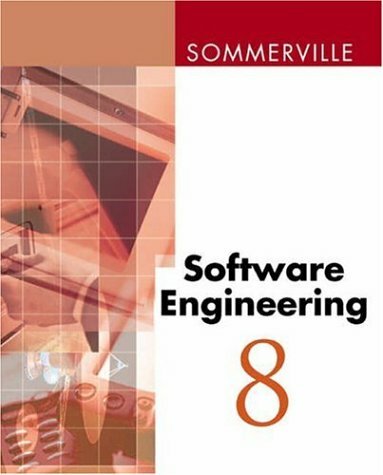 Although there is no formal bibliography given, throughout the book there are references to the work of authors and experts in the field who have written more extensive works on particular aspects of software engineering such as Glenford Myers who authored the classic "The Art of Software Testing", Watts Humphrey author of "Introduction to the Personal Software Process", and Tom DeMarco who penned "Controlling Software Projects". 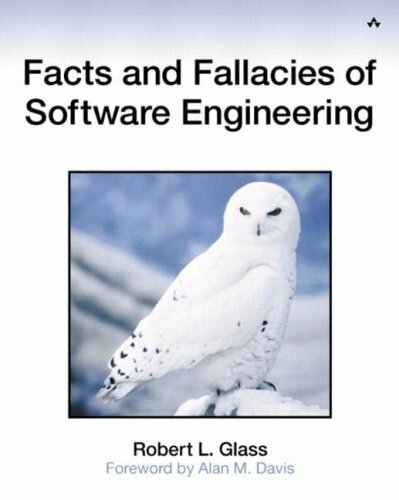 I highly recommend this outline to students of software engineering and also to professionals who might need a quick reference for certain aspects of the field that they may have forgotten. Telegráfico pero útil como introducción. Acostumbrado a otros libros de textos, llenos de ejemplos de cómo no funcionan las cosas, o al contrario de ejemplos que confirman las bondades de las teorías expuestas, éste se reduce a la esencia mínima. Se describe el concepto y se ponen ejemplos (sencillos en la mayor parte de los casos), nada más y nada menos. Cierto que muchas veces el tópico es ciertamente complicado de entender o la literatura es muy amplia, pero si en lo único que estás interesado es en conocer la idea básica tras el concepto, este libro es el adecuado. 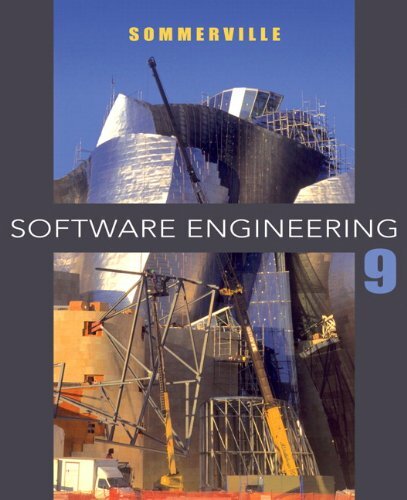 Mayoritariamente, con aplicar básicamente lo que aquí se describe uno tiene más que sifuciente para abordar la mayoría de los proyectos de seguimiento de software. Todavía no he visto ninguna organización (y ya he estado en varias y con proyectos de gran envergadura) que incluya métricas de seguimiento, como las básicas que aquí se describen (control estadístico) o incluso un simple análisis PostMortem del proyecto. Quedan para otros libros más detallados, pero también menos asequibles, el entender el "por qué" de lo que en este se cuenta. 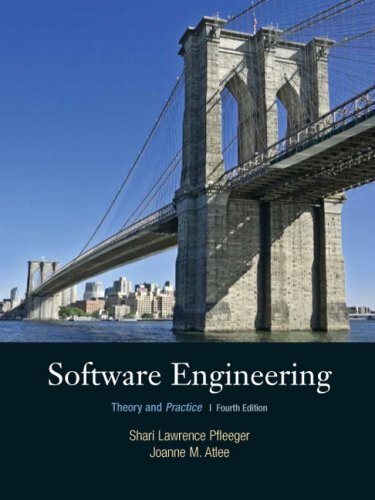 I purchased this as a required book for a graduate course I took (CS 5704 at Virginia Tech).It is an excellent roadmap for a broad scope of software engineering topics.But you should expect to treat it as a directory of topics from which you must branch out for more in-depth treatment and experience of the topics. 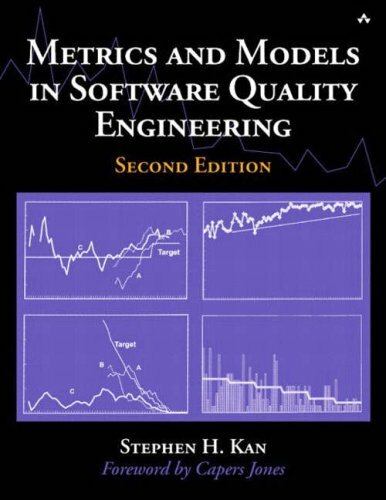 The book is generally well written.Is is very readable and clear, though I do have some complaints.Many topics presuppose other knowledge referenced nowhere else in the book.For example, Chapter 5 on Software Metrics includes a short section on Statistics, which refer to Spearman correlations and Pearson correlations, with no clue as to what they are. 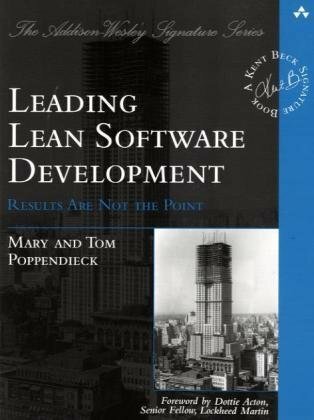 One area in particular, Software Project Management, is 16 pages in its entirety.I have been a software development manager since 1988 and it is almost criminal to lead anyone to believe that what they need to know about this topic in 16 pages.The material there is quite good, and I learned something new myself, but the brevity could be quite misleading to a naive student. 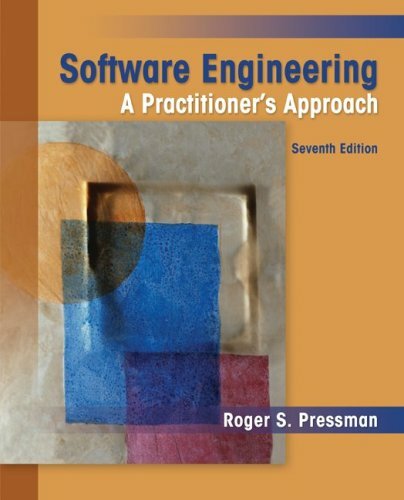 Many chapters in this book are deserving of having one (or more) college courses dedicated to the subject.Software Design alone, a single chapter here, takes years to master the concepts described. However, this book is marketed as an outline, and a very good outline it is. 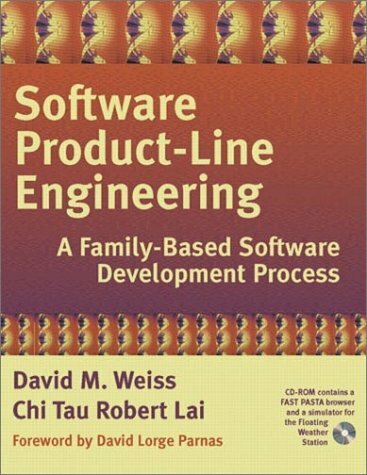 This is a good basic outline of Software Engineering. It accurately covers many areas, but not in depth. This is what I expected from this outline and it delivered. It will get you started in the right direction. Learning a subject from a Schaum's outline is generally a difficult endeavor. 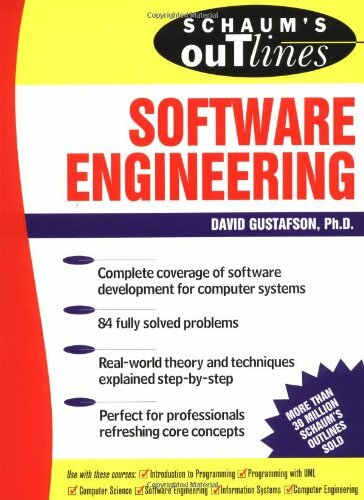 With the emphasis on solved problems and very little explanatory text, there is not a great deal of depth to the coverage. I have used many of them over the years as a source of problems. Sometimes these problems were a supplement to self-study using other more detailed works and other times I have used them as inspiration for classroom examples and test questions. 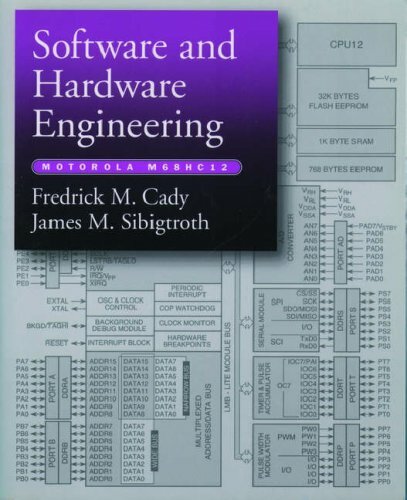 I used this outline as a source of ideas for topics to cover in my software engineering class in the Spring semester of 2004. What I found most helpful about the problems is that they are concise. By examining a solved problem, I can see at a glance what the problem needs to cover and possible ways to organize the presentation. 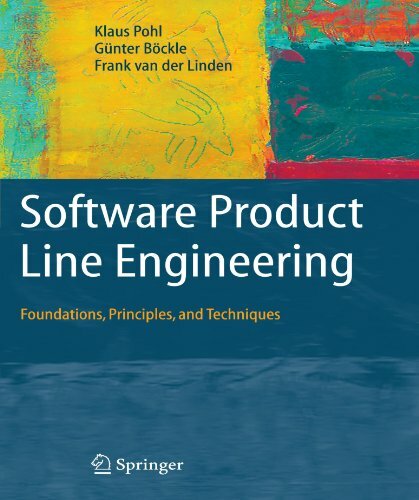 I did not take problems directly from the book, if the topic is to be covered as an example in class, then it is necessary to include more explanation. 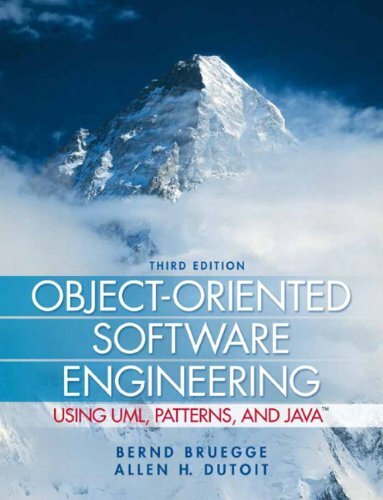 For example, I spent some time on Metrics for Object-Oriented Design (MOOD) in the class and the section in this book was very helpful. 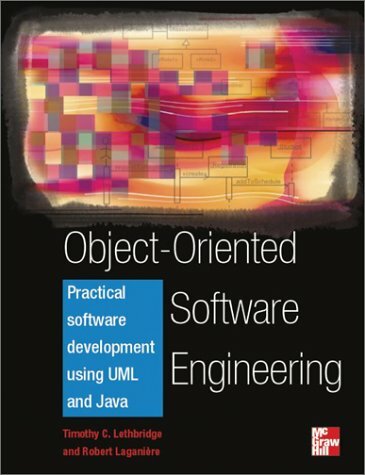 However, understanding the elements ofMOOD requires detailed knowledge of object-oriented concepts such as encapsulation, inheritance and polymorphism.